Soon after crossing the border at Lewiston, NY, we’ll be driving down the Niagara Parkway and will be struck by the dramatic stone walls along the road. Taking a cue from the recurring theme at our recent Statewide Preservation Conference, I’ll ask, “Who will train the traditional trades’ workers to repair and rebuild these walls in the years to come?” Willowbank School of Restoration Arts is the answer! And we’ll be visiting their campus in Queenston on this trip included in our 80th Anniversary group of travel tours. 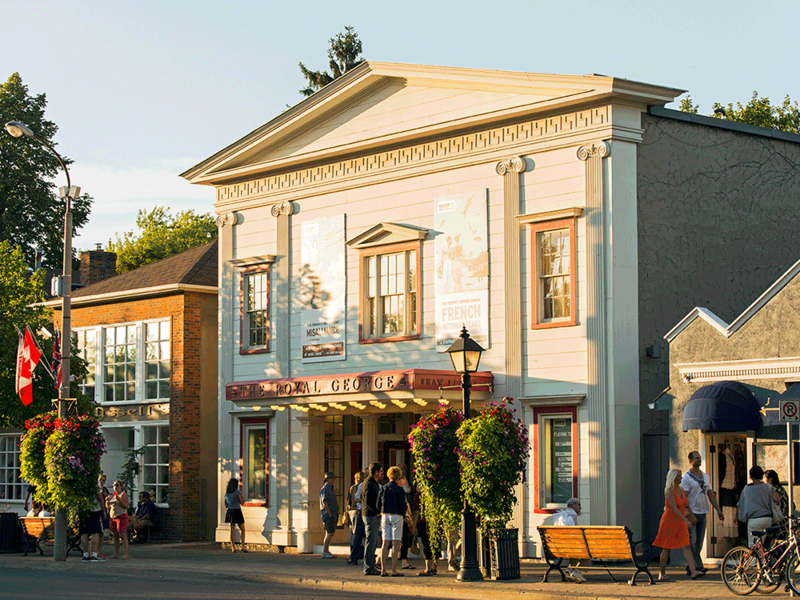 Of course, a performance at the world famous Shaw Festival; a tour of the wonderful preservation work in NOTL; and plenty of that great wine & food will be included in this two night / three day bus trip. Our good friends and supporters, Lynn Masaro and Kevan O’Connor have invited us for an exclusive reception at their bed & breakfast, the Doctor’s House, and will be our insiders who will help make this tour a true local experience. 6 Meals: 2 breakfasts, 2 lunches, and 2 dinners included.